Most motorcycle riders carry a bit of justifiable paranoia when they ride: the notion that car drivers are out to get them. It’s a closely held awareness that helps keep riders alive. 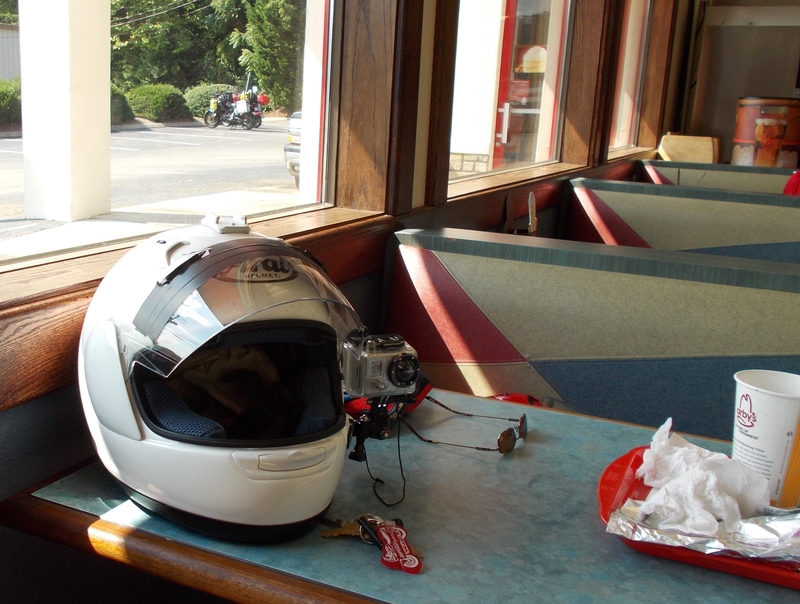 For some riders, that paranoia extends to stops along the way, especially when we’re going long distances and stop to eat. No matter what sort of restaurant we’re in, I always want a window table so I can keep an eye on the parked bike. 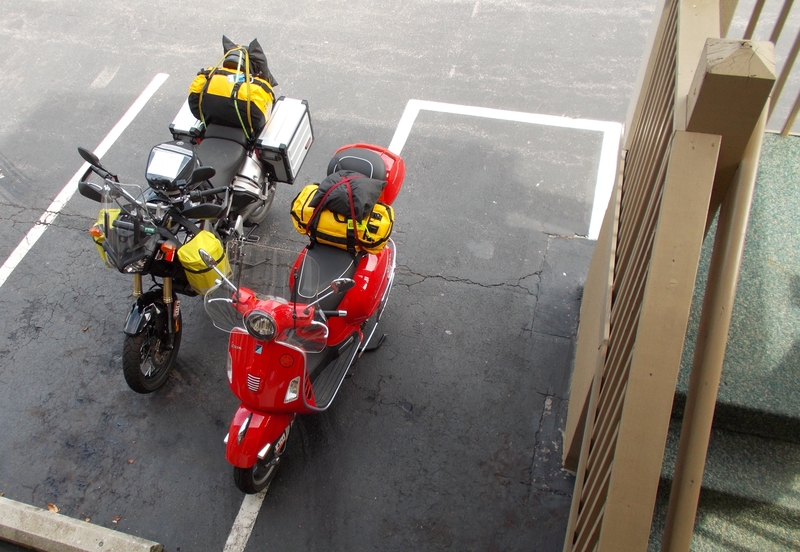 And, when we’re in motels, I want to be able to see the bike from my room window. It isn’t always possible, of course. But parked or moving, motorcycles are vulnerable. The lack of enclosed space, and the other characteristics that make them great for travel, opens them up to prying eyes and hands. “On a cycle, the frame is gone,” says Robert Pirsig in Zen and the Art of Motorcycle Maintenance. Thieves have been known to cut bungee cords and steal bags, tool rolls, and navigational gear. We’ve been lucky and haven’t experienced any of this ourselves. But still, I try to be careful and maintain situational awareness. A clear line of sight to the bike is a great relief. And besides, it lets you admire your own ride.